I have a 1992 Chevy Van G30. We just had a big snow storm here and the engine froze cracking the intake manifold. 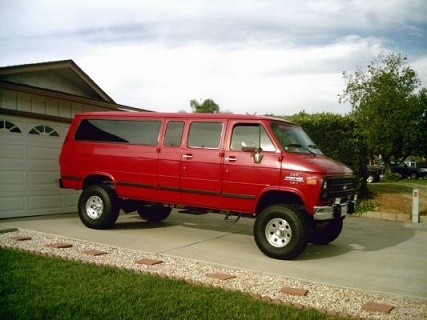 Are there any interchangeable years or other vehicles that I can use when searching for one? Hi Velvet, Welcome to the Site! Bummer, sorry to hear that, for sure. SoCal Boy having to deal with Winter here in West Texas. Man! So. What motor are you looking for? I can give you Chevy part numbers up to April 4 1992, if I know what motor. Check you build date and let me know. I might be able to help. A later model up to 1995 should work as well, Everything will be Throttle Body anyway. Good luck VH! and again, Welcome. can anyone tell me what years chevy van windshields will fit my 1976 bonanza shortie. I also found out their are 2 types of moldings, a single piece and a 2 piece, which is correct. The sheet metal and windshield opening is the same from 71 thru 95. However there are two different kinds/sizes of windshields/gaskets. Sometime in the 80's they were changed from a one piece gasket type to a glue-in type. As long as the windshield and gasket match either type will fit. Your '76 would have been manufactured with the one-piece gasket and windshield. This should be in the Chevy section... use the search option, type in "windshield"
Last edited by CatFish; February 15th 2019 2:27 pm.